Casual style has evolved into street style from the comfortable trends of the 80s to the fashion forward streetwear of today. And with the added technology, even elevator shoes can be some of the hottest street styles of today.­­­­..
From back in the 70s when Giorgio Armani introduced his ready to wear collections, it was only a short time until he would bring the casual chic style to the world of fashion. From the 1980s, the casual trends have evolved to become what we know today, bringing elements of the 80s and 90s up to date for a chic street look that can work with just about any style. Fashion designers across the world have embraced this new style and have reimagined it and redesigned it to create a wearable, comfortable streetwear style with luxury tailoring and fabrics to give it an elegant edge. Another way it has been reimagined is through the use of modern advancements and technology for a superior quality product. And GuidoMaggi has brought together the technological advancements to combine luxury with practicality and innovative design. These two elements go hand in hand. Today, streetwear is fashion and fashion is streetwear. And one of the most important influences in the street style of fashion is sports. Athletic clothing has seen a return to the fashion boutiques of the world. But there’s a difference from the athletic clothing for working out and the styles designed for casual wear, as there is an emphasis on luxury. Handcrafted pieces made with the highest quality materials. Another important influence in the streetwear style is of course, the street. Designers are taking their inspiration from urban life on the streets, combining the city atmosphere with comfort and practicality but with a luxury edge, particularly in footwear. GuidoMaggi is the only brand to be combining a practical need with the luxury fabrics and meticulous detailing that can only come from being handcrafted in Italy. With an Italian heritage, these height increasing shoes are designed with fashion in mind but also to serve the purpose of boosting confidence and self esteem in shorter men by adding an extra few inches to their height. But at GuidoMaggi, they know that it’s not just about being taller, it’s about wearing stylish footwear to look chic and trendy wherever you go and feel comfortable. 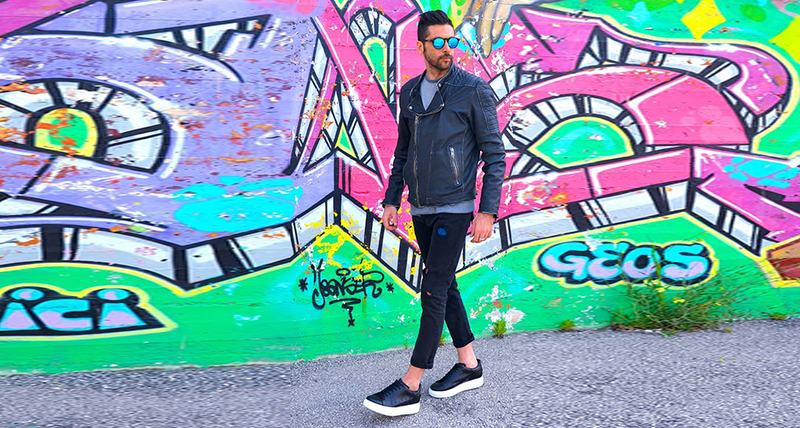 With the Sneakers Capsule Collection there are a range of the hottest street styles that can increase your height by up to 3.1 inches. The Gateshead is a perfect example of street style, with its white full grain leather upper and its red calfskin detailing. This 80s inspired sneaker can increase height from 2.4 inches to 3.1 inches and can give you the comfort you need with the chic style you’re looking for.